John and a group of men from his church decided last fall, that they needed to meet more regularly. 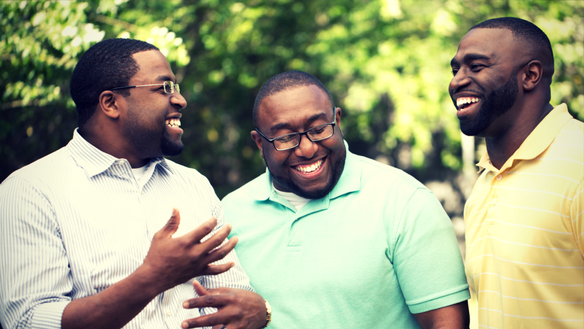 Aside from a few interactions before and after their corporate worship gatherings, and a small group meeting here and there, the men came to the realization that they really didn’t know each other! And with a church culture excited about getting more involved on the mission of God in the New Year by sharing their faith with others, this group of men agreed: how would they be able to walk alongside and have spiritual conversations with those who believe differently if they didn’t even have regular spiritual conversations themselves? So, the men–young and more mature, both in age and in faith–committed to getting together every other Sunday evening. “We had a good time! As always! But this was interesting: some of the guys said they wanted to try the cigars that Scott was talking about and this fostered some interesting discussions about the general advisability of drinking and smoking. After listening to the jovial banter of the group and various Biblical points of view, I asked this question: how does seeing our bodies as the Temple of the Holy Spirit impact this conversation? I knew I could lay it out there–we have managed to foster lots of trust over even the short time we’ve been getting together. And my question led us into a great discussion on what “freedom in Christ” actually means! I am really glad to be in a group where we can exchange these ideas up front, respectfully, and honestly. “Believe it or not–we also had some good discussion about politics and Trump and stuff! I guess nowadays it’s hard not to have the once taboo subject of politics come up! But–WOW! These guys! I really appreciate the opportunity to have discussions where we do not get into entrenched positions and close off communication by polarizing. It grieves my heart to see so many divisions–even in the church–and I am truly blessed by the political conversations our group has been able to have these past few months. We are learning together how to air differences with love and keep the lines of communication open. “Isn’t it so often the tendency of believers to fall into the error of the Pharisees? “I love that the Holy Spirit’s presence hovers over our group, mediates between us and encourages our mutual understanding. Q Place considers it a privilege to be able to provide you with the resources that will help you facilitate spiritual conversations just like John’s group is having. Click here to sign up for free coaching!